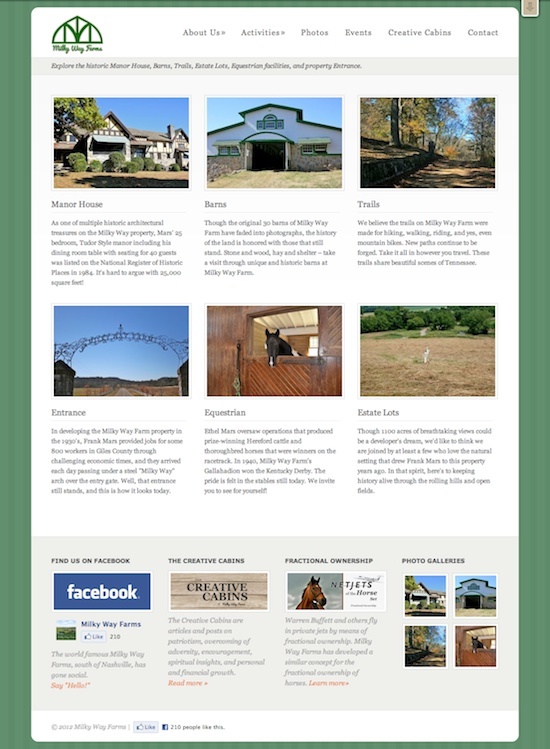 The site for Milky Way Farm included social media integration, calendar functionality, multiple forms, an interactive blog/articles section, and photo galleries on the various aspects of the farm. 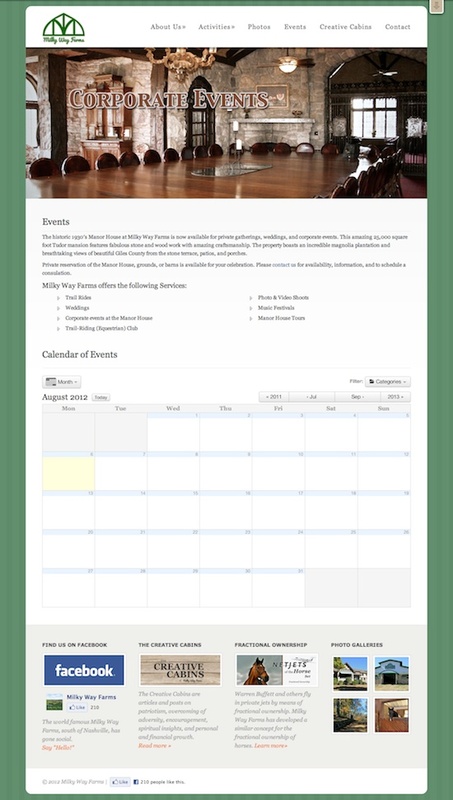 The DISQUS commenting system, Foobar, and All-in-One Calendar by Time.ly were newer plugins to the mix. AddThis and Gravity Forms rounded out the others. 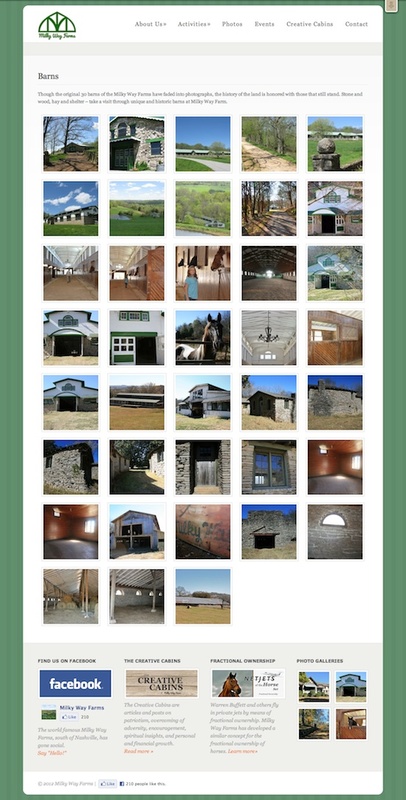 This project was initially completed in October of 2011 and then picked back up in the late Spring of 2012 and completed by May. 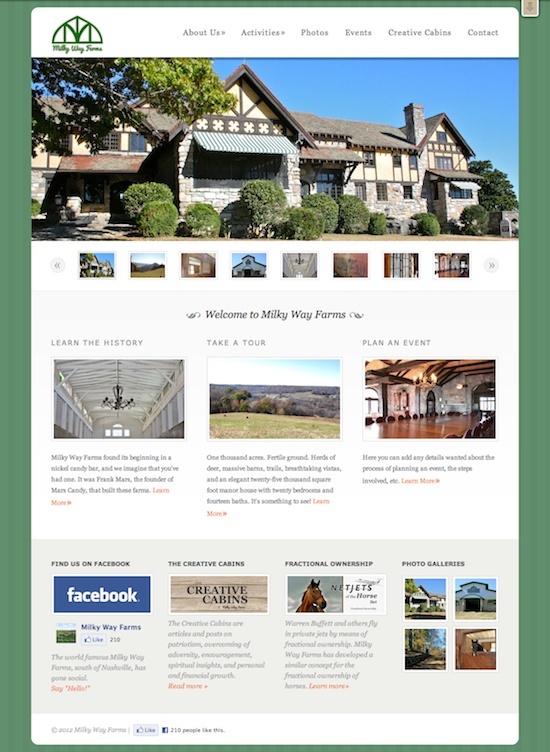 Milky Way Farm in Giles County, Tennessee, is the former estate of Franklin C. Mars, founder of Mars Candies. It is, as you may have suspected, named for the company’s Milky Way candy bar. This was project for a friend.